Southern Utah University in Cedar City provides about 7,000 students with an education in the liberal arts as well as programs in business, education, and agriculture. Southern Utah's campus boasts its own television station as well as a farm and ranch. Describe the type of student who should attend Southern Utah University. Why? Any student who wants to live on a small, intimate campus. The city is perfect for first year college students. What is a typical Southern Utah University student like? Describe the type of person that should attend Southern Utah University. What are the top 3 reasons someone should attend Southern Utah University? The classes are small so there is a great opportunity for 1-on-1 interaction with the professor. It is in a perfect location. 45 minutes away from skiing and 2 hours for Las Vegas. What was a typical Southern Utah University student like in high school? Describe the type of person that should attend Southern Utah University. There is no "typical student". SUU is diverse, actually. Which helps students from all over the world feel comfortable and welcomed in this educational environment. Through our more than 110 year history, Southern Utah University has evolved from a teacher training institution to its current role as a comprehensive, regional university offering graduate, baccalaureate, associate and technical programs. From the time of its founding, SUU has placed students first by featuring personalized and participative classes, combined with competent, qualified and supportive faculty, staff and administration. People of the region look to the University for skill development opportunities, major academic specialties, outreach services, cultural and athletic activities, economic and business development, and regional archives. National parks and recreation surround Cedar City. Skiing is 40 minutes away at Brian Head. For a wider range of metropolitan service, the city of Las Vegas is two-and-a-half hours south, Provo two-and-a-half hours north. What are the top 3 things that students do for fun at Southern Utah University? The average student pays $13,862 for tuition, fees, and other expenses, after grants and scholarships. Total stated tuition is $5,208, in-state and on-campus, before financial aid. Learn more about financial aid at http://www.suu.edu/ss/financial/. Estimate the net price for you at http://www.collegeportraits.org/ut/suu/estimator/agree. The typical (median) early career salary of Southern Utah University graduates is $40,800, according to Payscale. Southern Utah University participates in the NCAA Division I-AA for college athletics. 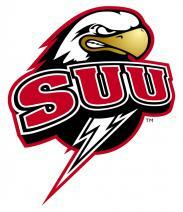 Want more info about Southern Utah University? Get free advice from education experts and Noodle community members.